Home » MakeBadger's templates shop » Olá meu nome é – Name Tag. ONT-05. Here is the Portuguese version of the nice free online “Hello. My Name Is ___” name tag template. To download this template just Add it to the Cart and proceed to Free ($0) checkout. After that, you’ll get a download link. 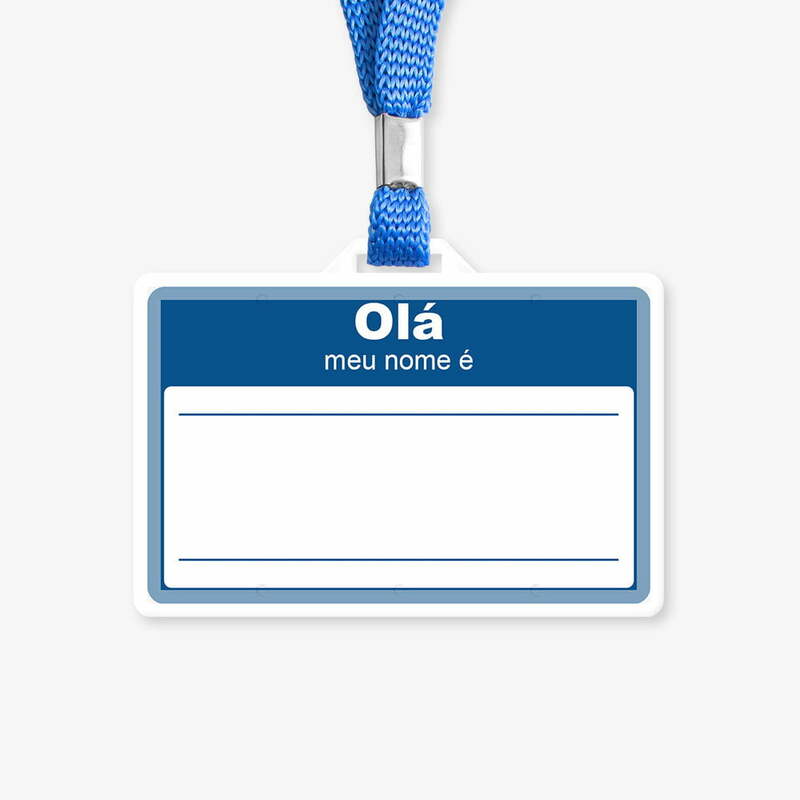 When staff, volunteers, and visitors are required to wear name badges or name tags, everyone can be quickly identified and acknowledged whether or not they belong where they are. To download this template in the above formats, just Add it to the Cart and proceed to Free ($0) checkout. After that, you’ll get a download link. 0.75", 1.5", 1", 2.125", 2"